Watch this video IAC Students created about their experience in WLP. Watch a video recapping the adventures of the IAC cohort during the fall semester. 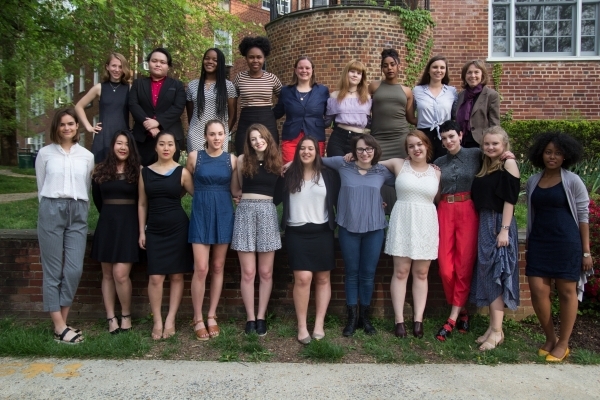 From an exhibition at the National Women's Museum to a performance at the Studio Theater, the students travelled around Washington, DC taking advantage of many artistic and cultural opportunities. Watch a video recap of IAC's spring 2013 semester. From putting on an art show to studying together in the dorm, it was a great year for IAC! The IAC spent the fall of 2013 exploring the many artistic and cultural resources of Washington, DC. 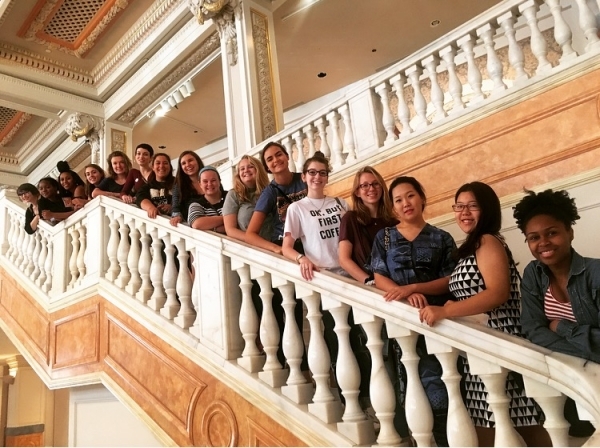 They received an exhibition tour with the artist Mindy Weisel at the Kreeger Museum, learned the history of the Ballet Russes, and put on an art show in Eckles Library. During the spring of 2014, IAC attended a performance by comedian Sara Shaeffer, attended a dinner and discussion with female ambassadors, met journalist and author Katty Kay, and spent many memorable days and nights together in the dorm. Check out some pictures from these events! 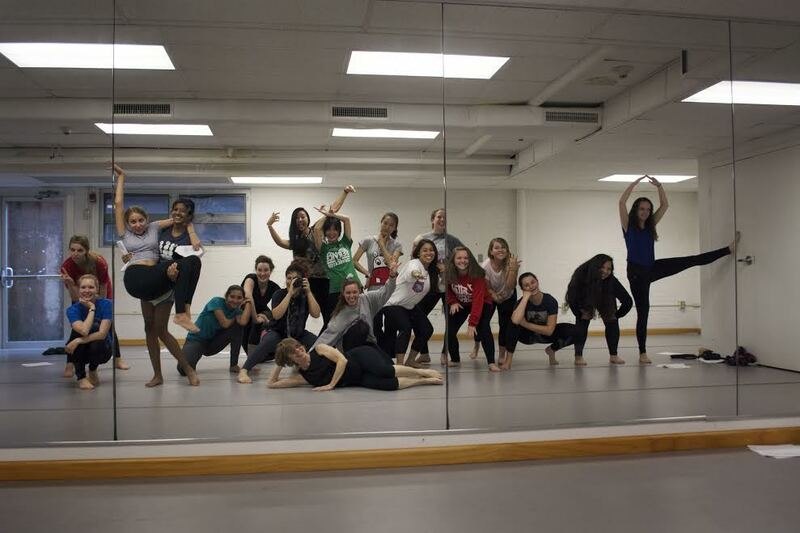 An examination of Women's Leadership in the Arts by the 2013-14 IAC class. 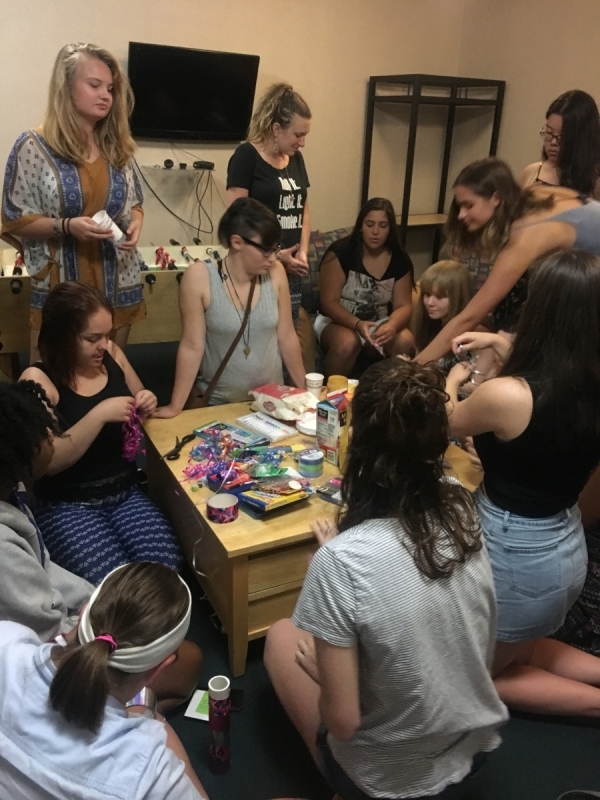 The International Arts & Culture (IAC) cohort offers students the ability to incorporate a study of the humanities and active involvement in performance and studio arts into their freshman experience. The IAC cohort draws students interested in the visual arts, performing arts, art history, and majors independent of art. 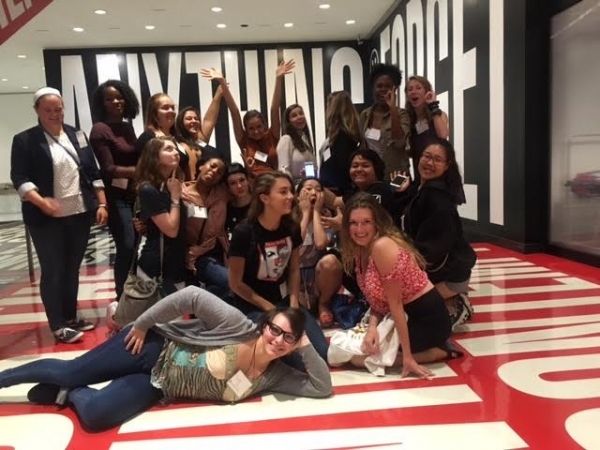 Students in this cohort are immersed in the artistic culture in and around Washington, DC. They attend performances, watch private screenings, and meet with innovative women artists to learn more about their lives and bodies of work. The courses in this cohort include Women and the Creative Process, a performing or studio art course, and a University Writing course. These courses apply to general curriculum requirements in the Columbian College of Arts and Science and will fulfill electives in all other schools. one semester sequence of "Women & the Creative Process"
How can an ‘abstract’ and subjective discipline like art be experienced, discussed, and written about within a scholarly setting? This humanities course, taught by the Program Coordinator, consists of readings and discussions about aesthetics, creativity, and cultural values. The course is framed by an exploration of how works of art are conceptualized, developed, discussed, and evaluated, and how women in arts participate in this exploration. Course material includes primary sources such as film, fiction and biography, studio footage, and visual works of art. Secondary materials include theoretical texts, journal article,s and criticism. This student-oriented exploration is discussion based, and students apply the concepts and experiences acquired in class and symposium by maintaining a weekly journal and writing criticisms. The course is geared towards providing a solid academic foundation that culminates in the completion of a research/analytical paper that develops an original thesis. This course fulfils one literacy requirement. The University Writing Program provides comprehensive writing and research instruction and is required for all undergraduate students. 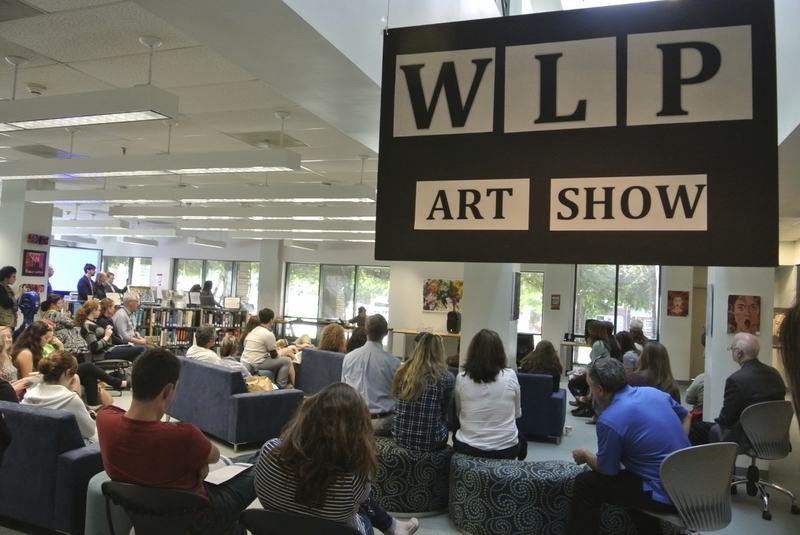 WLP offers a choice of topics taught by the program’s University Writing faculty. This course is not cohort-specific and students may select any of the courses offered. This course does not fulfill an academic requirement, but counts towards the students’ overall earned credit-hours. The weekly symposia is designed to supplement the academic component of the program with a wide variety of extra-curricular opportunities, many of which are exclusive to members of WLP. Symposia fall into two main categories: women’s leadership and discipline-specific exploration. 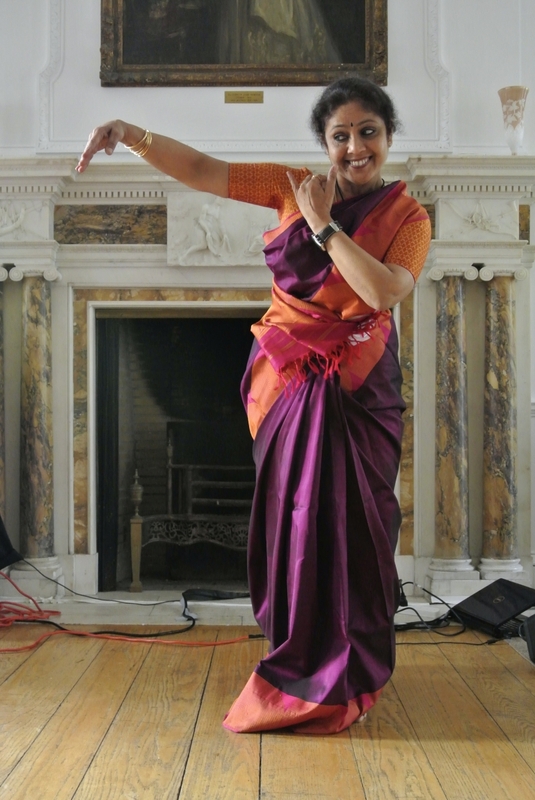 This course fulfills one Creative and Performing Arts requirement. An important component of IAC’s exploration of the creative process across the art forms is an active engagement in the medium of the student’s choice. Students select from the university’s wide range of visual art, dance, theatre, vocal and instrumental courses offered in the spring semester. IAC students come together to take a break from studying for their exams. 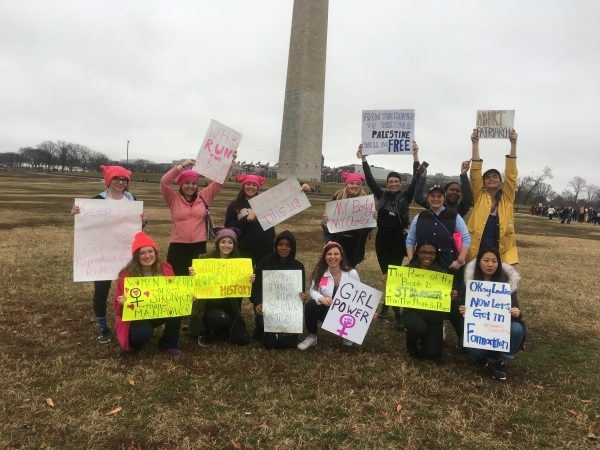 IAC students come together to participate in the 2017 Women's March. 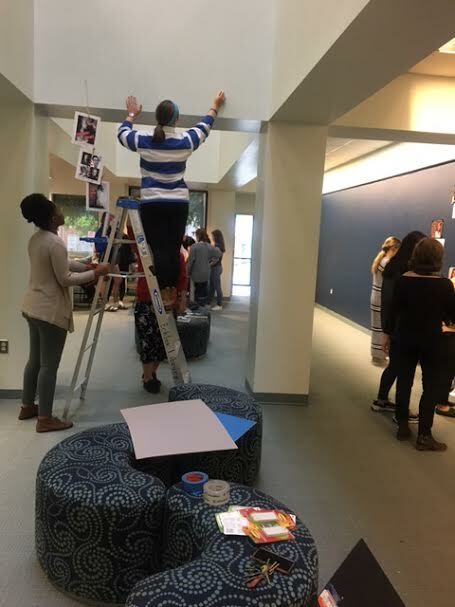 IAC students installing their yearly art show. Every fall, the IAC Cohort puts together an art show in Eckles Library. The show also serves as an award ceremony for the winners of the Eckles Prize.